What is the meaning of all those abbreviations that accompany the tea names? GFBOP Golden Flowery Broken Orange Pekoe. Produced mainly in Assam. A top-rate tea of the broken grade as well as the only broken tippy from Kenya. Very popular in East Frisia. GBOP Golden Broken Orange Pekoe. The next, second sorting with few tips. CTC BOP CTC Broken Orange Pekoe. CTC = Cut, Tear, Curl. CTC production is a shortened, machine automated production process. Importance is put on a uniform leaf and a quickly colored infusion. TGBOP Tippy Golden Broken Orange Pekoe. The finest broken grade produced in Darjeeling and Assam. Highly tippy with smooth leaves. TGFOP Tippy Golden Flowery Orange Pekoe. The main grade of Darjeeling and Assam. FOP Flowery Orange Pekoe. Plain grade of Indian leaf tea. FTGFOP 1 Finest Tippy Golden Flowery Orange Pekoe 1. Mainly from Darjeeling, some from Assam. The finest grade of production, manufactured with exceeding care; even leaves and tippy (having white or golden tips). SFTGFOP Special Finest Tippy Golden Flowery Orange Pekoe 1. Superlative grade. BOP Broken Orange Pekoe. The main broken grade of Ceylon, South India, Java, and China. FBOP Flowery Broken Orange Pekoe. A coarser broken grade with some tips, it comes from Assam, Indonesia, China, and Bangladesh. In South America, a coarse, black, broken tea. In Southern India “Pekoe” is often called FBOP. BPS Broken Pekoe Souchong. 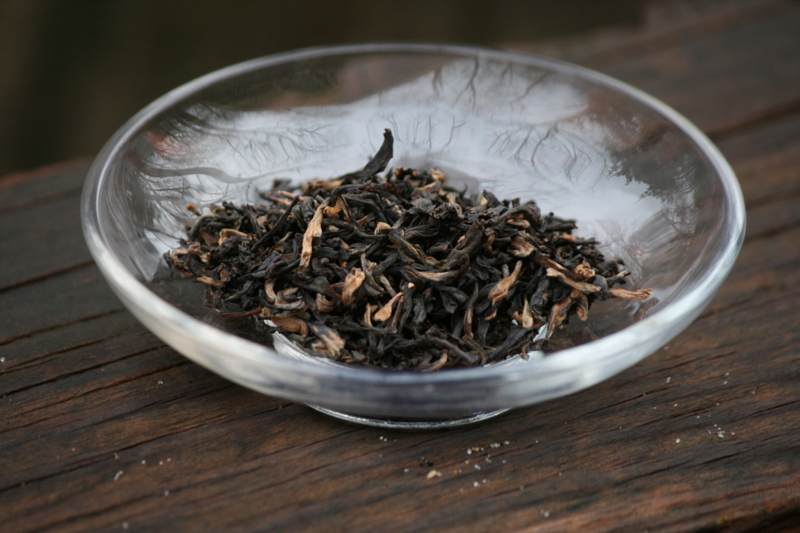 Assam and Darjeeling, pearl-shaped leaves. Pekoe A Chinese term meaning “white down”, it refers to the character of the tender young leaves. “Pekoe” and “Orange Pekoe” are terms for the grade of tea. BP Broken Pekoe. A brown to black, heavily broken tea from Indonesia, Ceylon and Southern India; often with very woody, stalky particles. OP Sup. Orange Pekoe Superior. Tippy. Only produced in Indonesia. GFOP Golden Flowery Orange Pekoe. The top grade from the only surviving Kenya tea garden that manufactures tippy tea. Fannings Small particles of tea leaves, about 1 mm in size, used exclusively in tea bags. Dust The smallest grade of tea, used exclusively in tea bags. Tippy/Tip The lighter, or golden, tips of the tea (leaf tips of the young, tender tea leaf bud) that do not affect the color in the cup. Broken smaller leaf, broken or cut. Extraneous Particles The stem and woody stalks of the tea plant that are sometimes processed along with the leaves. Infusion Tea leaves after brewing.